I mean come on, how cute are they...come buy some lemonade please!!! For the second hour of sales (during which there were no sales), we had a picnic on the front lawn for dinner. Matt snapped this pic of the kids and I "manning the lemonade stand." I wish I knew what these two were doing here...Matt snapped this one, but it was too good not to share! Despite these faces, our first lemonade stand was a success! We even got raves on our products! We'll def. do this again...and Jack might even rent you "his" stand if you're interested! so cute!!! 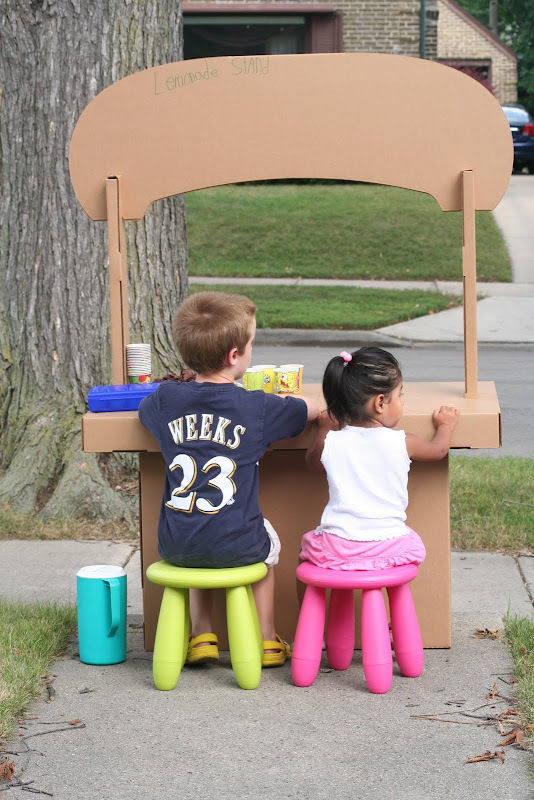 love the lemonade stand and stools! Hi Heather, I'm a friend of Cyndi's (Southern Daze) and I stumbled over to your blog. 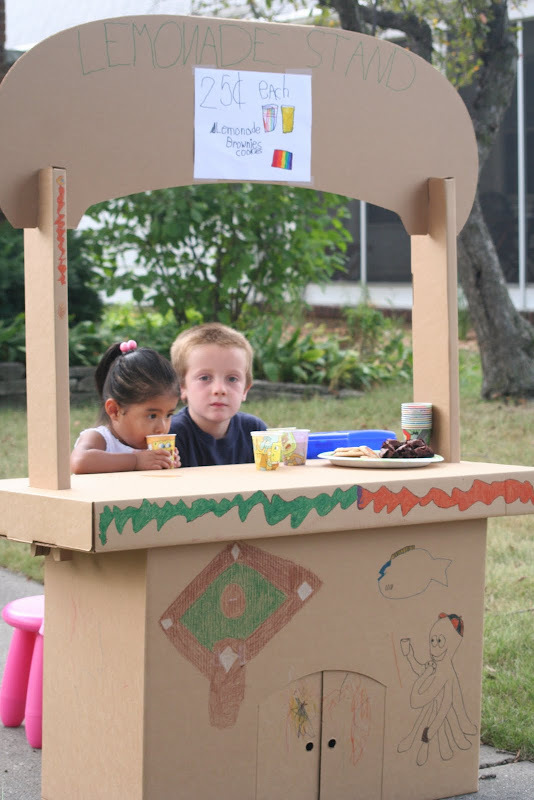 I just had to say how awesome this lemonade stand looks! 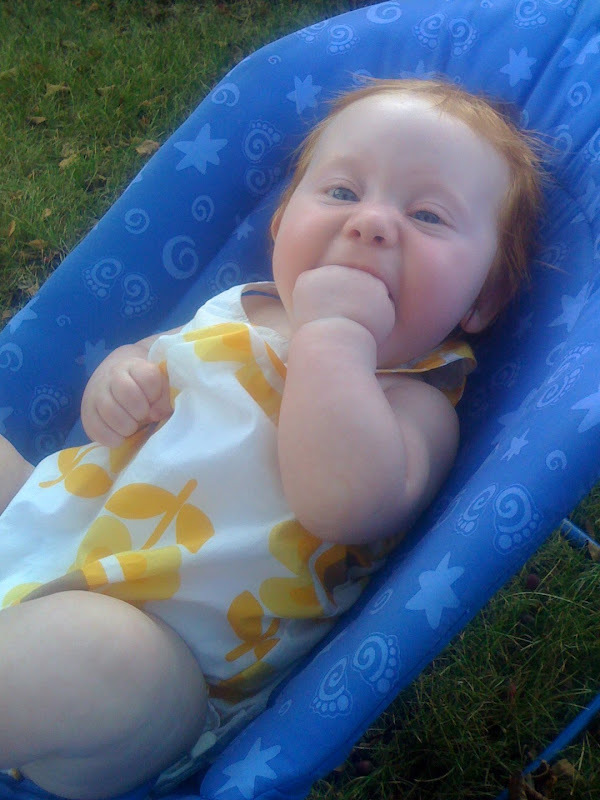 My son has been after me to do one; I'd better not let him see the pictures of yours because I'll never live it down. Well done!